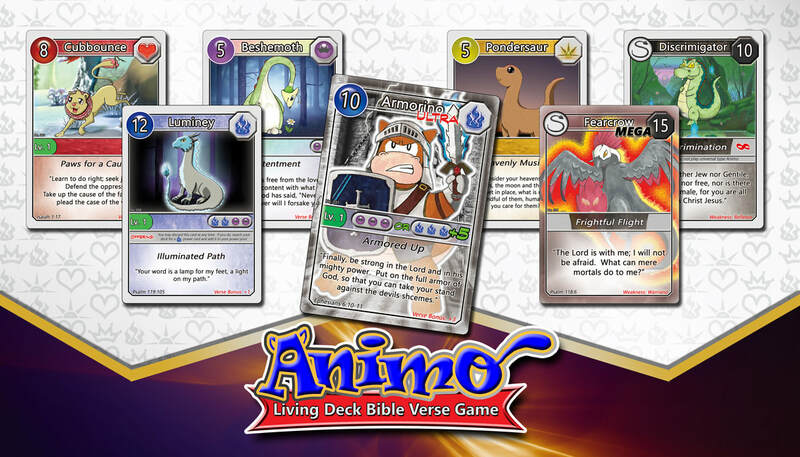 ANIMO is a 3 in 1, Bible verse themed "Living Deck" card game. Animo are fictional creatures that embody specific virtues, disciplines, and in some cases, sins from scripture. Each card is equipped with a unique character and a specific Bible verse which either reinforces good behavior (the Virtuous) or how to 'defeat' the bad ones (the Sinnies). They can be collected, traded, shared, studied, and played with. Have your drawing become an actual Animo card in the next expansion! Click here to submit a drawing or vote for your favorite! WHAT IS A 'Living deck' CARD GAME? Glad you asked! A living deck card game is essentially a game played with interchangeable cards- one that can be played in different ways and with different parts. Most importantly, we chose the word "Living" because the cards carry wisdom from scripture which is practical for everyday living (and also God's word is said to be "alive and active"). There is no one set specific set of cards that one MUST play with, but rather, each player may use their own deck consisting of cards of their choosing. The starter deck has a great selection of cards and characters to get you started, but you may expand your card library or experiment by adding or swapping out cards with one of our expansion decks. You see, Animo is NOT like most CCGs (collectible card games). While most CCGs or Trading Card Games require you to find another player with their own deck to play, our starter deck can be split into two, so that 2 players can play an abridged version of the game with just one deck. WHAT'S MORE, is that a single deck can also be used to play another game with 2-5 people (or even more if you add more cards) around the kitchen table. This other game, called "Hide it in your heart", is a more basic card game that everyone in the family can learn quickly and enjoy. 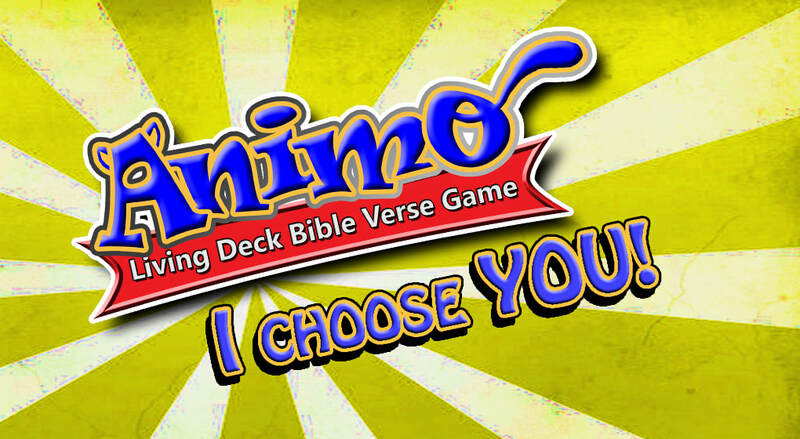 LASTLY, Animo provides something much more than just fun games: it is a parenting tool. Every character contains a strength which corresponds to a Bible verse- which provides invaluable insights from God's word. 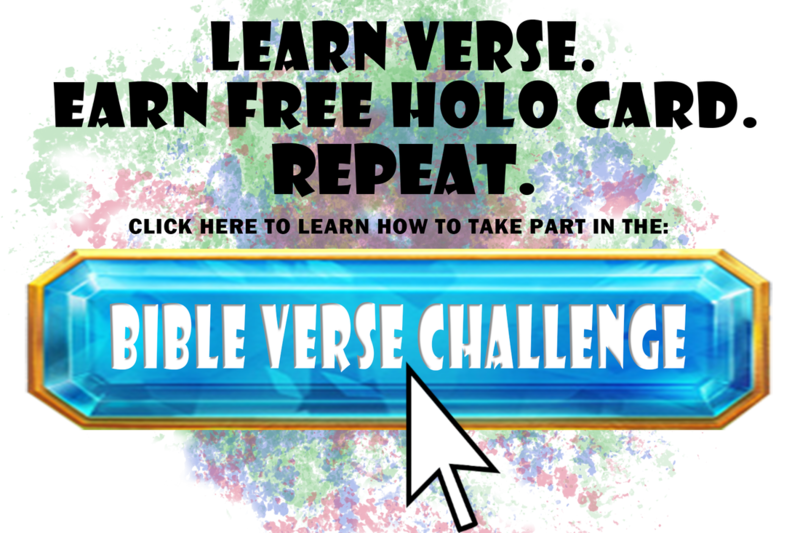 Even if they never play either one of the games, kids will enjoy collecting and reading the cards, learning the verses, and sharing them with friends. Read them with your kids- at the dinner table, in the car, before bed, or... anywhere. Discuss in greater detail what the verses mean, and how they can apply them in their day to day lives. Use them as a 'verse of the day' tool. Challenge them to carry one with them to school for the day. If it's a virtuous character, see if they can put the message into practice throughout the day. If it's a sinnie- let it serve as a reminder to resist temptation or help them "defeat" that sin in the real world. Animo was created to be easily shared with others, and for kids and parents to interact with them together. So to recap: 1 product, 3 Uses!